I picked some greenery from the garden to use as the centerpiece. The searched through my friend's cupboard and chose two vases. I partially filled both of them with water, added the greenery to the smaller one and put it inside the larger vase. I added cherries to the water of the larger vase. I would have liked to use fresh cranberries but didn't have them due to it being summer here in South Africa and I was using what I could find in the fridge! I added the pretty napkins/serviettes that I had brought my friend earlier in the week and strung the little lights around the vase and along the length of the table. I added the silverware and glasses, and voila, the table was set! Surprise! 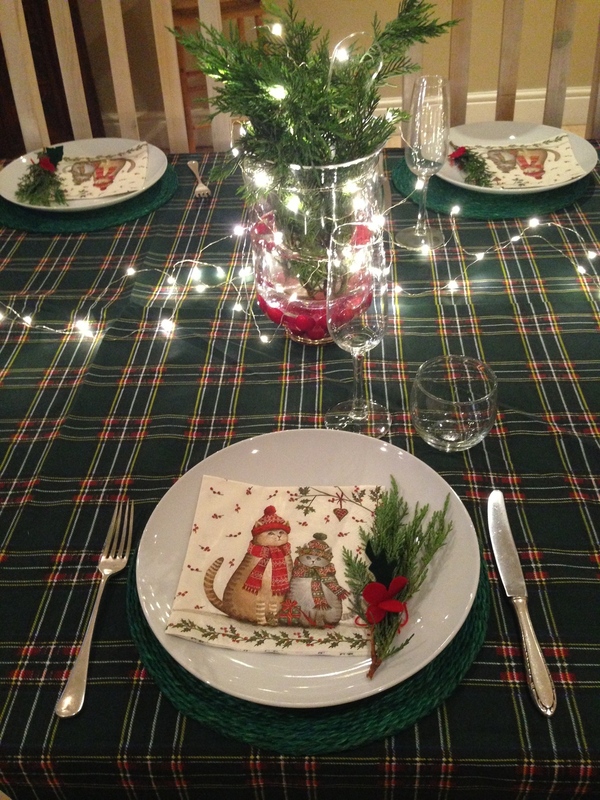 Watch this short video to see how to set a simple and hurriedly thrown together table! Please SHARE with friends and check out our Heartistry Youtube Channel. You are invited to sign up to receive our newsletters. I will send a notification when I post a new blog (most of the time!) Don't miss out on helpful tips and inspiring stories.